God has given us Jesus, Mary and Joseph. Through their family we have been saved. We have been blessed. 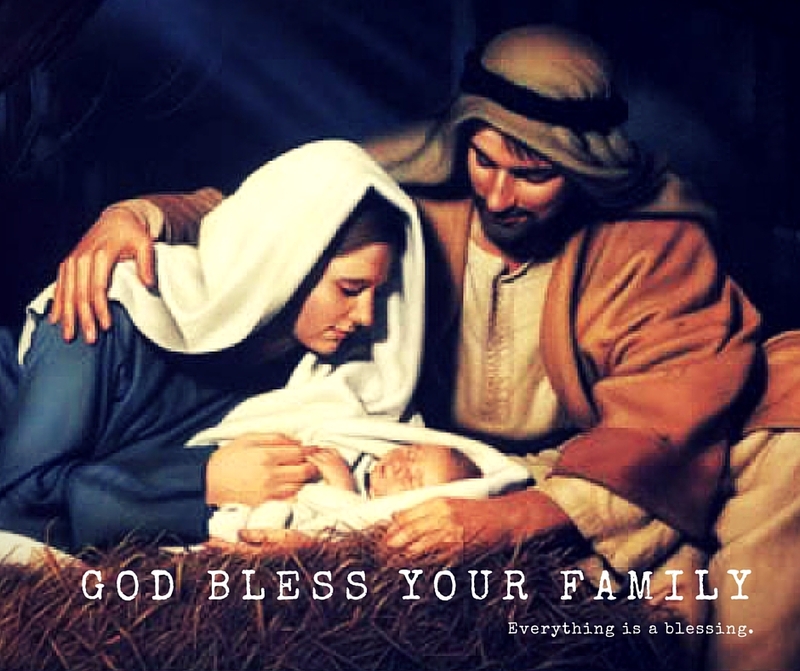 God has also given us our family - our mother, father, brothers and sisters. No family is perfect, but God made it perfect for us as we have been made perfect according to His will. Each member of the family is a blessing to one another. Trust God that He knows what He was doing when He placed you into your family. God loves you. This coming year 2016, I pray that God's blessings will flow in abundance into your family. May He unite you in His love and grant you the grace to look for what is good in each other rather than what is not. May your household be filled with faith, hope, love and kindness always.